Listen to our Radio Interview on RacMan Christian Radio check out the event below for dates and times. Our October Films are coming up!! Our October film screenings are coming up! 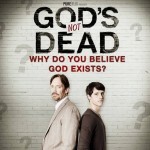 We would like to welcome two new Faith and Family Films hosts, Journey Church in Bethel VT and Hunger Mountain Christian Assembly in Waterbury VT.
October begins this Saturday October 4th at 7:00 at Hunger Mountain Christian Assembly with “God’s Not Dead” at 7:00pm (see our calendar for directions and more info. We need everyone’s help to reach our goal and get the projector we need to expand our outreach. Use the link below to view the campaign today and help us reach more people in the Least religious state in the USA. Duck Dynasty Season 5 Giveaway!! Jump in for your chance to win a Blu Ray copy of “Duck Dynasty : Season 5” all you need to do to enter is answer the question on the event page! Duck Dynasty: Season 5 Giveaway! Just confirmed for March 14th, 2015 at 2:00pm!! in Randolph VT.
Cadon wasn’t going anywhere . . . until he met Jess. Now that Jess and her young son Austin are living with him, his life seems to have direction and purpose. But when they lose custody of Austin under questionable circumstances, Cadon feels responsible. 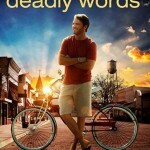 Desperate to keep Jess, Cadon turns to his lifelong friend Bo for help to reclaim their son. 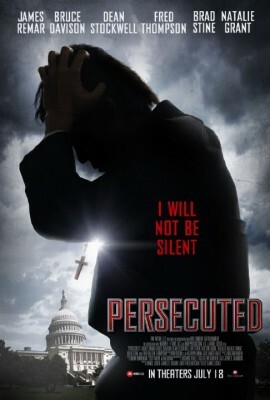 As their plan unfolds and tensions escalate, Cadon finds himself trapped in a hostage crisis in a small church. With the situation spiraling out of control, Cadon, Jess and Bo will each have life-changing decisions to make. MY SON tells the story behind a too-real tragedy interwoven with a message of hope that can overcome even our worst choices. 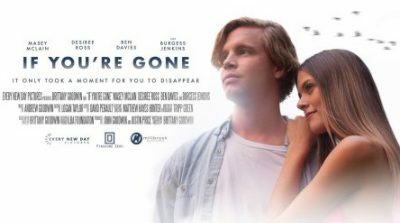 Another Premiere coming to our series!! Our VT series starts soon!! 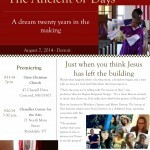 Our Vermont Faith and Family Film series begins September 20th!! This season we will present three films per day. Join us at the Chandler Center for the Arts in Randolph, VT for our showings. 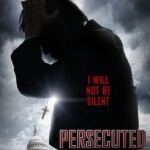 Persecuted is coming to our series this year! Check out the calendar for more information today. Our Facebook page has almost doubled over the last month, out Twitter page gets new followers everyday, and now LikedIn is going crazy!! We hope it’s all crazy for The Lord!! A lot of people have been asking so we are sending this out. Our biggest need right now, and you may know someone, is to obtain or have donated a projector capable of a 75 foot throw in order to expand our film series. By the name of our organization I’m sure you can tell we show and promote films with a Faith based message and/or family films. 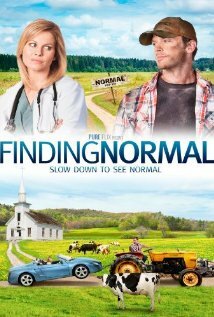 We have had requests to show films in some areas of New England however some of the facilities, weather it be a church or hall, do not have the equipment to be able to show the films. With licensing fees for the films and hall rentals (our series in VT) we are lucky to break even at the end of each year so being able to afford a $4,000.00 dollar projector (or more) is not a huge option for us at this time. We have tried Kickstarter and Indigogo without much results, using social media to really push the projects. So we are looking for options, if you have any ideas please let forward them off to me or pass this information along. Our email and address is below if you know anyone who might want to donate or may have a projector they would like to donate. Our phone number available if it is requested. Our summer show in Concord NH at Oasis Christian Church. 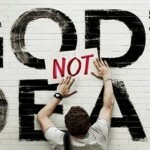 Join us July 26th at 6:00pm for a FREE showing of the hit film “God’s Not Dead”. This will also be a double feature with the award winning film “The Good Book” playing first! Don’t forget the fundraising raffle with a retail value of well over $500.00!! !